This week is the 10th anniversary of the start of Canada’s combat mission in Kandaha r. This was the most stressful Canadian “expedition” since the Korean War, as Canada skipped Iraq 2003 and Vietnam. Today also happens to be the third anniversary of the rejection of an access to information request (Canadian for FOIA)–I had asked for the report detailing the Lessons Learned from the war. While armed forces create such reports all the time, this was a first for the government to consider how the various agencies performed. The report got buried, not just so that I couldn’t see it, but that no one in the Canadian government could see it. And that is a problem because lessons learning requires not just research and analysis but also dissemination of those lessons. 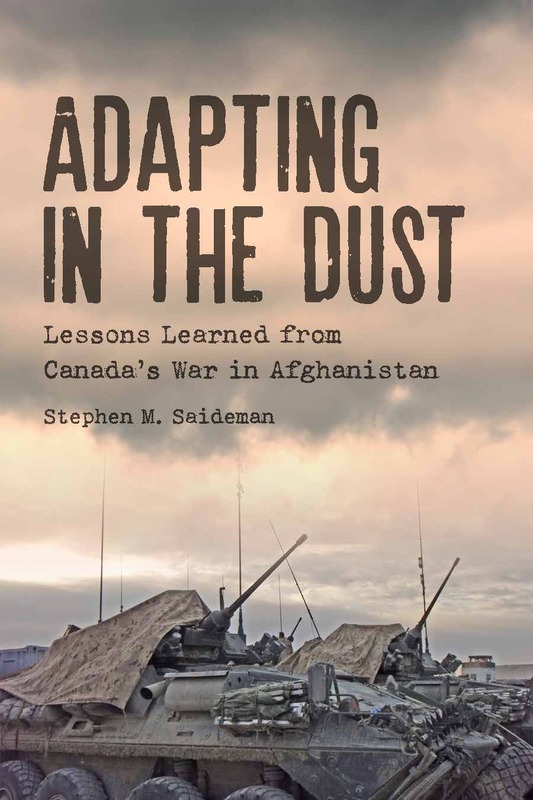 The timing is handy for me, as today is the Ottawa book launch of my new book, Adapting in the Dust: Lessons Learned from Canada’s War in Afghanistan. While I have been ruthlessly and relentlessly promoting the book on my twitter account and at my blog, I am more restrained here, so consider this my one Duck post. The book is based on interviews with most of the military officers who commanded the mission in Afghanistan and those in the chain of command back home; three of the RoCKs (rep of Canada in Kandahar) and other Foreign Affairs officers; some folks responsible for police training; parliamentarians; media folks; and one former Prime Minister (Paul Martin) and two former Defence Ministers. The premise is this: we learn more about someone’s character when they are under pressure, and nothing in international relations put Canada under more stress than this mission. I also wanted to de-myth a good deal, as there are a bunch of myths about the mission (and new ones being created even this week). Anyhow, the book is pretty inexpensive as it is aimed at the Canadian public, and is really the first book that I have written that is greatly influenced by my blogging. 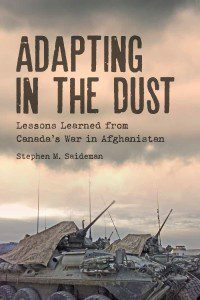 I am sure it would be a great gift for your friends and relatives who want to learn more about Canada and/or the war in Afghanistan.